Use of artificial intelligence (AI) had been increasing tremendously. Use of AI in air planes and other automobiles are most commonly used and being evolved continuously. But it is interesting even to think that an AI would judge the beauty context. Parameters for Judging AI beauty Contest? Unlike other beauty contests this one is backed by scientists who are working to fight against ageing. It is a normal psychology that people don't worry about how to fight ageing. However, they worry about how they look. It is noted that more than 1 million people take selfies and post them on social networking site. Idea is what if this selfie can be used for winning a first international AI beauty contest. Recently article published in TechCrunch, organisers/ scientists discussed about their long term plans with their idea to host this beauty contest. Understanding of faces through this contest will reveal about the youth and age related aspects. The topic is extensively discussed at TechCrunch. 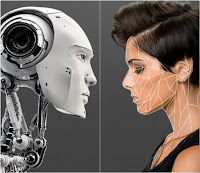 This is not only an opportunity for people to test their beauty features but also for computational chemists to upload their algorithms for AI which can help in judging human attractiveness. Check the details of uploading your AI entries here.... Hurry!! !